Today is February 21st, or more significantly, the 15th day of the first month of the Lunar Year. It’s the lantern festival- the official end of Chinese New Year. In short, the celebrations have come full circle. As with most Chinese festivals the Lantern festival or 元宵节( yuan xiao jie) is accompanied by a retinue of legends. I’ll share my favorite- one involving a depressed servant girl. Back in the Han dynasty, there was an imperial servant girl called Yuan Xiao. One day, an imperial advisor found her in the garden preparing to drown herself in a well. When he asked what was wrong, she said she hadn’t been able to see her parents since working at the palace and would rather die than face separation. Thus, the two hatched a plan to reunite Yuan Xiao with her parents. The advisor set up a fortune telling stall and told every customer the same fortune: On the 15th day of the new year, the fire god will send a red fairy to burn down the city. Yuan Xiao then dressed as a red fairy and delivered the “news”. Not surprisingly, the people freaked out and the emperor asked the advisor what to do. The advisor said each house must beg the fairy for mercy, prepare glutinous rice balls (汤圆), and hang red lanterns so the city appeared on fire. The day came, everyone did as the advisor said, and the city didn’t burn down. Yuan Xiao’s parents came to the palace to look at the lanterns and reunited with their daughter. The emperor loved the celebration and decreed that it should be repeated every year. 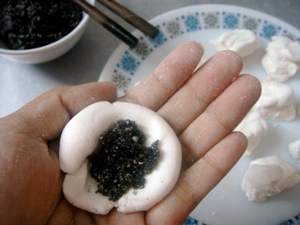 Since Yuan Xiao made the best rice balls, the emperor named the holiday (and rice balls) after her. Of course, that’s just one, very unplausible, story. Other versions attribute the festival to Buddhist rituals, sun god worship and maybe even a rebellious general (read more here). How to celebrate Lantern Festival? 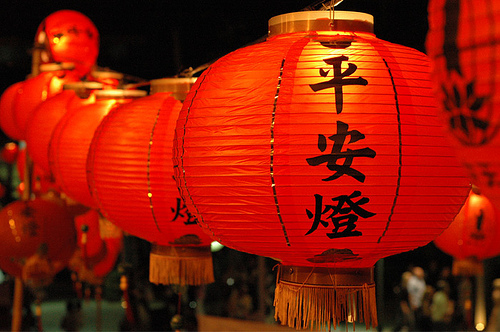 Another fun activity is lantern riddles, although those take some serious Chinese language skills to understand.